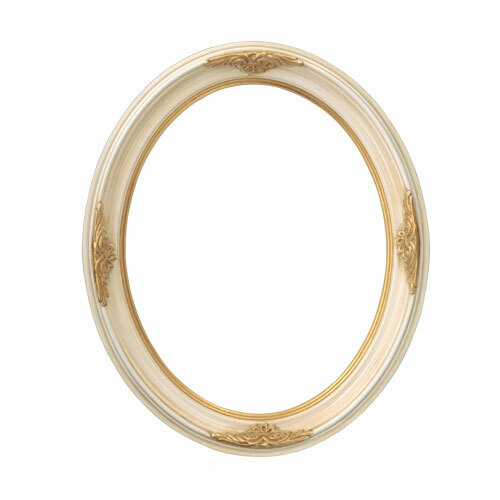 This oval frame's crown profile is finished in gold-touched ivory and completed with ornate flourishes at top, bottom and sides. Please note: oval frame measurements list the maximum width and height of the frame. 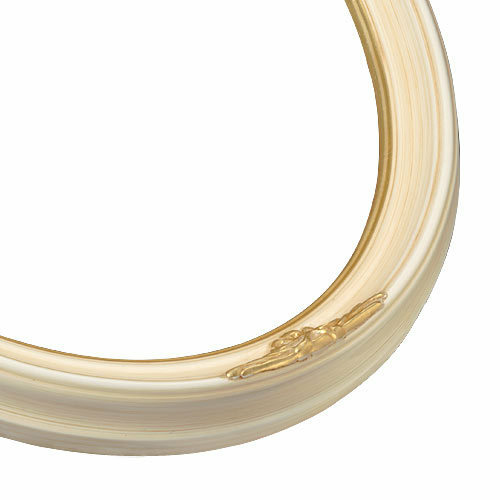 If you're framing a rectangular piece, the corners will need to be trimmed before installing into an oval frame. Was disappointed for the first time ever with your packaging because the strong clear tape holding the clips was stuck to the frame and took off some of the gold on the frame. I guess I can figure out a way to touch it up somehow. Hello Phoebe. Thank you for bringing this to our attention. This is a very rare service breakdown that we want to eliminate from happening in the future. Our packaging is done with extra care and detail to ensure the order is delivered in great condition. We regret your experience was less than exceptional. We are more than happy to replace the frame free of charge. Please send me a photo of the frame to customercare@pictureframes.com so we can send you a free replacement. Again, we sincerely apologize for this inconvenience. Have a great day! I had childrens pictures in similar frames which I lost in a fire. Wanted two like what I had. Every time I put artwork in one of these oval frames, it sells right away. People seem to love them!